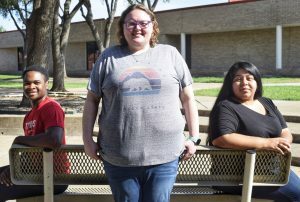 (WACO) – Three Texas State Technical College Visual Communication Technology majors have each received a $500 scholarship from a Waco arts society. Ana Alvarez, 31, of Waco,; Destin Franklin, 20, of Grand Prairie and Samantha Westbrook, 35, of Axtell received the scholarships from the Central Texas Watercolor Society, an organization advocating watercolor as an art medium. Stacie Buterbaugh, an instructor in the Visual Communication Technology program, said the students stood out among their classmates. The students said they are grateful for their scholarships. Alvarez has done screen printing on her own for the last decade. She wanted to attend TSTC to learn the design aspects of visual communication and has enjoyed learning the advertising and marketing side of the field. 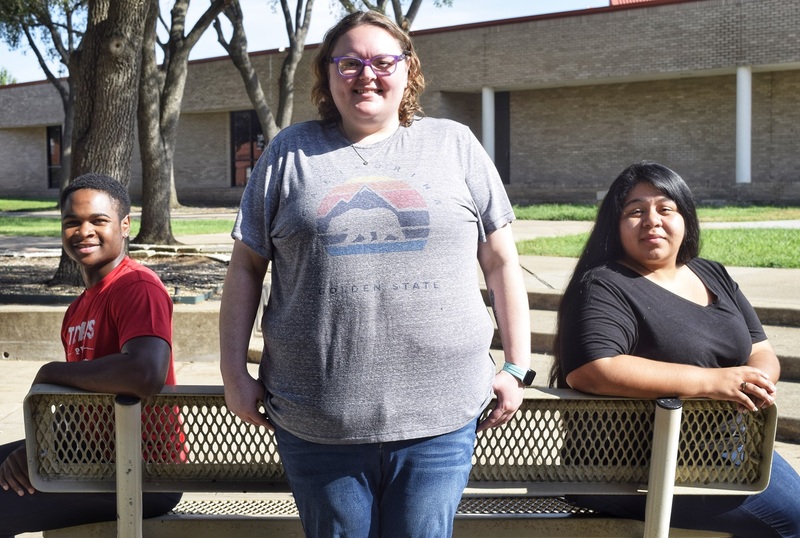 “I am ready to get back in the workforce,” said Alvarez, who is also a Visual Communication Technology tutor at TSTC’s Student Success Center. Franklin has done graphic design since ninth grade. He said a family friend recommended TSTC to him. Franklin’s goal after graduation in December is to earn a marketing degree, open a graphic design business and travel. Westbrook transferred to TSTC after attending another two-year institution because she felt her job prospects would be better in her major. Westbrook said she was thankful for the scholarship and for the program’s hands-on work that instructors grade using workplace standards. “It pushes me,” she said. For more information on the Central Texas Watercolor Society, go to centraltexaswatercolor.com. This entry was posted in Waco on September 11, 2018 by Daniel Perry.